Gain the luck of the Irish in search for your pot o’ gold! Lucky Lassie, High 5 Casino’s 244th game, is coming soon! Grab your four-leaf clover and golden horseshoe to begin the search for the winning pot of gold. Scout the sprawling green landscape of Ireland, from the Cliffs of Moher to the Blarney Castle, all the way to Dublin. 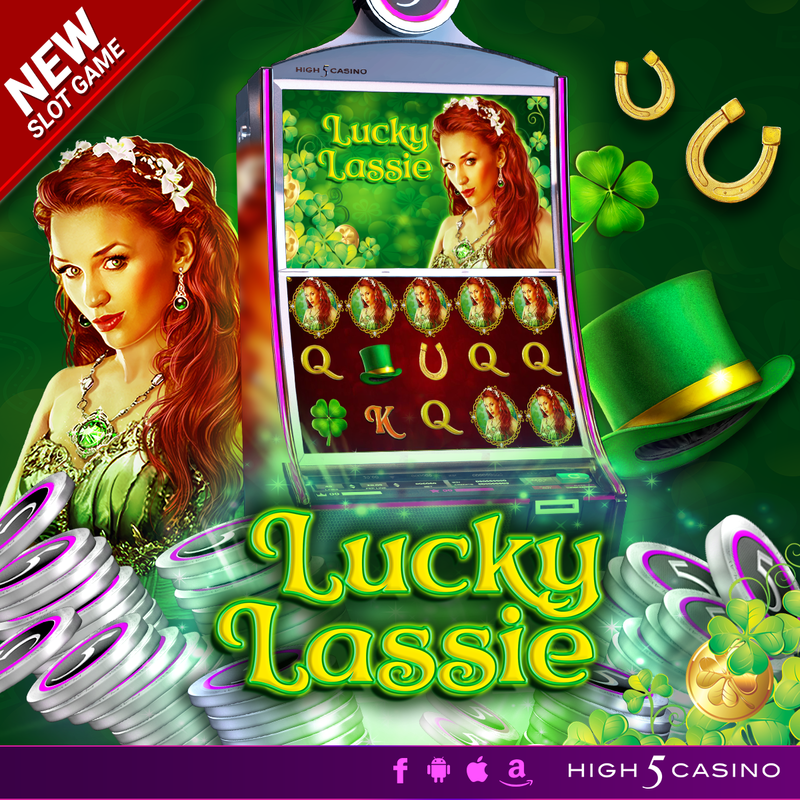 You will soon discover the fortunate riches of the mystical green land in Lucky Lassie! Check out the YouTube video below and get ready for fortuitous wins! Are you ready to try your luck? Comment in the conversation bubble located on the top right corner of your screen and let us know what you think!